As far as I am concerned, this is a very important release. Ubuntu GNOME (previously called Ubuntu GNOME Remix) has one of the best implementations of GNOME Shell desktop. And as we've already seen in our earlier Ubuntu GNOME review, if you want the best of Ubuntu and pure GNOME in a single package, there is no better alternative to Ubuntu GNOME Remix. Ubuntu GNOME 13.04 Raring Ringtail has been released alongside vanilla Ubuntu 13.04, albeit with an older version of GNOME. Keeping in sync with the Ubuntu desktop, Ubuntu GNOME team has decided to go with GNOME 3.6 instead of latest GNOME 3.8. You can still use GNOME3-PPA to upgrade to GNOME 3.8 (more on that later). Firefox has replaced Epiphany as the new default web browser. Welcome move in my book. I can't stand anything other than Firefox or Chrome/Chromium these days. Ubuntu Software Center and Update Manager have replaced GNOME Software. 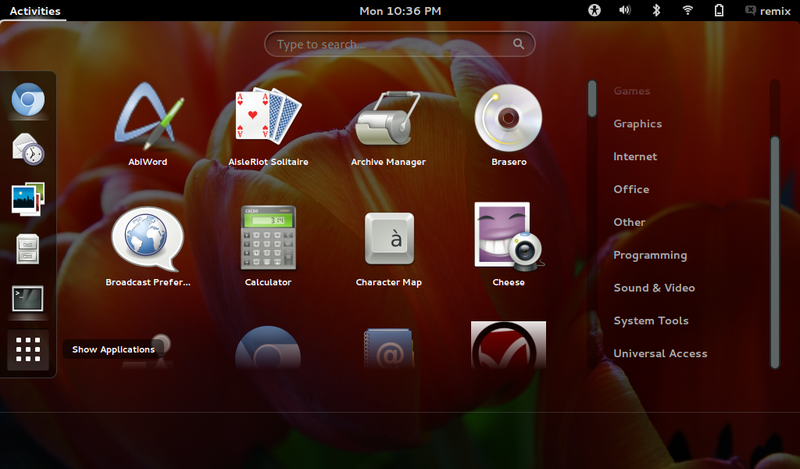 A full-fledged review of Ubuntu GNOME is also coming up, stay tuned.